The question of “How do I verify my business on Google?” is an important one. Without online verification, a business doesn’t show up on Google’s many services including search results and Maps. Millions of people use Search and Maps on a daily basis, and not showing up in those areas means missing out on a massive opportunity for more customers. Verification can be an intimidating process, but you can get it done in a few steps. Here’s how to do it. What Do I Need to Verify My Business? The first step for any Google-related activity is to log in or create a Google My Business (GMB) account. You can learn more about it by reading our how-to guide on claiming an account for a business. In the process of creating the account, you’ll search for the business and place it under your account name. However, Google needs to verify ownership or management before it’s confirmed. You can verify a business in multiple ways, although some options are only available to specific businesses. The most common way to get a business verified is through the mail. Google will send you a postcard with a verification code attached to it. In the GMB account, you can click on the “Verify Now” option after clicking on a business listing. At the postcard request screen, you will need to check and make sure that the listed address is correct. You can also request a postcard through the GMB app by tapping the “Send postcard” button. One will be sent in the mail after you select a listing and press the “I don’t have a code” option. The postcard takes about two weeks to arrive, and it’s important to not change any information during this time. Doing so will only delay the verification process. Once you have the code, you can go into the GMB account, click on the business location you want to verify and hit the “Verify location” button in the menu or the “Verify now” option. Enter the five-digit code and hit submit to finish the process. On the app, you have to tap the business you want to verify and select the “Enter code” button. After choosing a specific business and clicking on the “Verify now” button you have to choose the email option as a verification method. You should see a message in your inbox that contains a code. You can enter that code in the GMB dashboard, or you can click the “Verify” button in the email message. The same process also works for those using the GMB app. You can also get the verification code through your phone if you have the option available after hitting the “Verify now” button. A call will come through your phone and you will need to listen for the automated voice system. The system will then give you a code, which you will have to enter in the code field. On the app, all you have to is tap the “Call me now” option and enter the code from the automated voice system. Those already using Google Search Console for a business may qualify for instant verification. Just make sure that the email used for the GMB account is the same as the one used to verify the listing on Search Console. Please note that all businesses on Search Console might not be eligible for instant verification. In this case, the best option is to get a code via mail. How Do I Verify My Business Locations In Bulk? Some businesses feature multiple locations and it’s possible to have them all verified at once, but you need to have 10 or more locations. You will then need to complete a form with the following information as accurately as possible. Google says that it will take about a week to process the request. This allows Google to verify the GMB account holder’s authority and that the account itself meets specific quality guidelines. Google will contact you via email regarding any questions or issues. It should be noted that bulk verification is not available for those with less than 10 locations and service-area establishments (businesses that don’t serve customers at the listed address). How do I Verify my Business if There’s A New Owner? When a change in leadership occurs, you’ll need to send a request to the previous business owner asking them to hand over the listing ownership to new management. For most businesses, you can go to the “Add” page on GMB to enter the name and address of the business. You’ll see that someone has already verified the listing, which means that you’ll need to press the “Request access” button and fill out a form. When the form is submitted, the owner of the listing will get an email telling them to contact you. You’ll also receive a confirmation email when the message reaches the owner of the listing. With these businesses, you’ll need to go through the traditional verification process and receive a code by mail. However, you’ll see an “Owner conflict” message when you put in the verification code. You will then see a “Request access” button, which will send a letter to the current listing owner to reach out to you. You can go through the same process as storefront businesses, but another option is available. You will first upload the business location information on your bulk upload spreadsheet and then open it on GMB. You should then see the “Owner conflict” message. Click the “Request access” button to tell the listing owner to get in touch with you. What Happens After I Send A Request? The listing owner has seven days to respond to your request, and you can check your status request on GMB or by clicking the link in your confirmation email. If the owner approves your request you will receive an email notification. You should be able to manage the newly-owned listing on your GMB page. When a request is denied, you will receive an email and get a notification when you sign in to GMB. In this case, you can still suggest edits to the listing to help the business, or you can even appeal the request to Google. In the event that you don’t hear from the owner at the end of the seven-day period, you might get the option to claim the listing anyway. You can sign in to GMB and click on the “Verify” or “Claim” button on the dashboard page. Can Agencies Verify Multiple Locations? Google doesn’t make the answer specifically clear, but it seems that agencies can verify up to nine locations for you through its Organization account. This is where the agency can manage multiple aspects of your company’s profile. However, bulk verification isn’t allowed for agencies. Google says that the actual owner of the GMB account needs to go through the verification process. Only then can agencies can request shared access to the business’ location group page, which shows the locations that were bulk verified. With a verified business, you can begin to attract customers. With the correct listing information and enough images, you can make the business a place that everyone must visit. 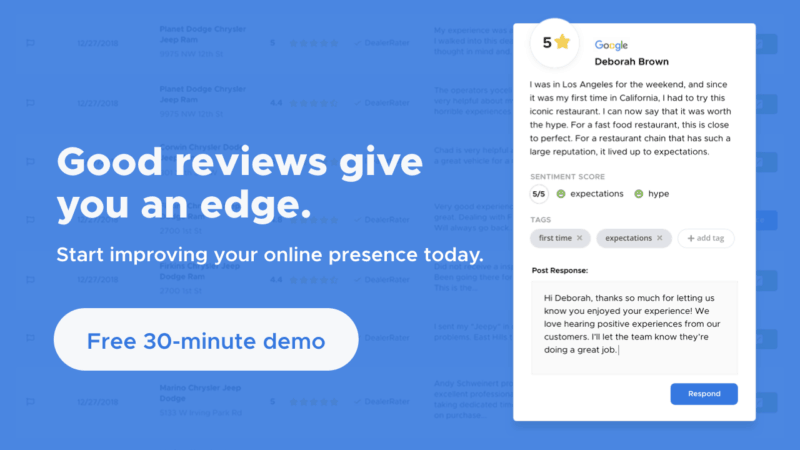 You can then ask customers to further pad your online reputation through their own photos, word-of-mouth marketing, and most importantly, reviews. If you haven’t logged into your account in over six months then you need to seriously think about how you’re managing your online reputation. Even if you’re not getting many comments you ought check in now and then just to make sure nothing awful has been posted. I often skip reading any mail from google, though I don’t filter it as spam. From now on, I shall pay more attention to it. I can already see Google support being overwhelmed by people asking them to return their deleted listings, since they didn’t see the email, or it was filtered into spam folder. my google page is suspended since 2 month, some one changed the details without my permission. Thats why google have suspended my page even i have complaint so many time but their no help full solution from google pages.